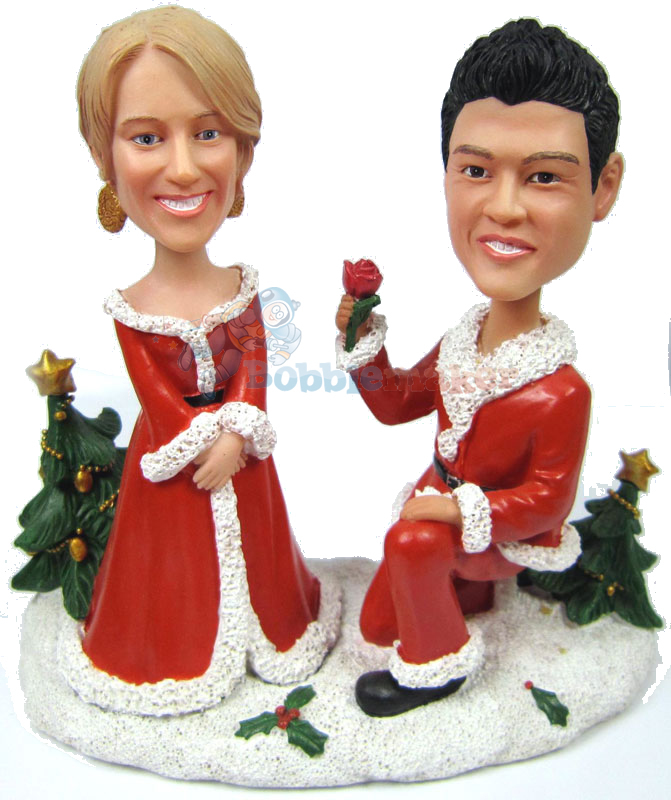 Our custom bobblehead features a Holiday marriage proposal. This custom bobblehead is a man on one knee ready to propose to a woman he loves. Both bodies are dressed up in Holiday clothing.